This year the Myocarditis Foundation Research Fellowship Grant is named in the honor of Rhett Lundy, a 14 year old boy who passed away due to myocarditis. Read Rhett’s Story Here. 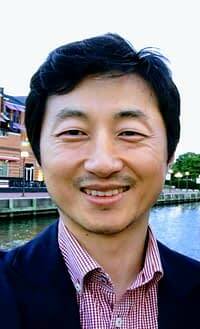 Dr. Taejoon Won, PhD from The John Hopkins School of Medicine in Baltimore, Maryland is this year’s Myocarditis Foundation Research Grant Recipient. Dr. Won is a postdoctoral fellow in the lab of Dr. Daniela Cihakova, MD, PhD. Dr. Cihakova was the 1st Myocarditis Foundation grant recipient in 2006 and Dr. Won is our 19th recipient. Below is a layman’s description of his research study titled “Therapy for Myocarditis by Targeting Endothelial PD-L1”. immune responses in peripheral organs including the heart. In some cases of cancer patients, the treatment blocking PD-L1 or its counterpart PD-1 as a cancer therapy has caused fatal myocarditis. It raised a question if myocarditis can be treated by enhancing PD-1/PD-L1 interaction in the heart. In the proposed research, I will use PD-L1 gene therapy to prevent viral myocarditis in a mouse model. Adeno-associated virus (AAV) is a novel carrier for the clinical gene therapy approach showing no adverse effects and no severe toxicity. The FDA has recently approved the first AAV-based gene therapy. Our laboratory has generated an AAV vector overexpressing PD-L1 selectively in endothelial cells, which are one of the non-immune cells in the heart covering the inside of heart chambers. We will test the therapeutic potential of our AAV-PD-L1 vector in a viral myocarditis mouse model. In addition, to investigate the importance of PD-L1 expression by endothelial cells in controlling myocarditis development, we will delete PD-L1 expression specifically in endothelial cells using the Cre-lox technology in a viral myocarditis mouse model. Developing AAV-based PD-L1 gene therapy, our work will open the door to a novel biologically based therapy for myocarditis to selectively suppress inflammation in the heart.